Environmental health promoters inform people about potential health risks in the home, workplace and community. Environmental health promoters inform people about potential health risks in the home, workplace and community. They help individuals and groups bring about change through information materials, workshops and community action. Free drop-in clinic to help you repair your bicycle. We provide the tools, advise and assistance for you to fix your bike. RentSafe is an initiative, led by the Canadian Partnership for Children’s Health and the Environment (CPCHE) to address housing-related health risks affecting tenants living on a low income in both urban and rural communities in Ontario. Residents meet with government and local planning officials, as well as industry and elected representatives, to share information and concerns about environmental issues in South Riverdale. Mold, building materials, chemicals and cleaning products may lead to allergies, asthma, attention problems and other health concerns. Learn about substances that may be putting your child’s health at risk. 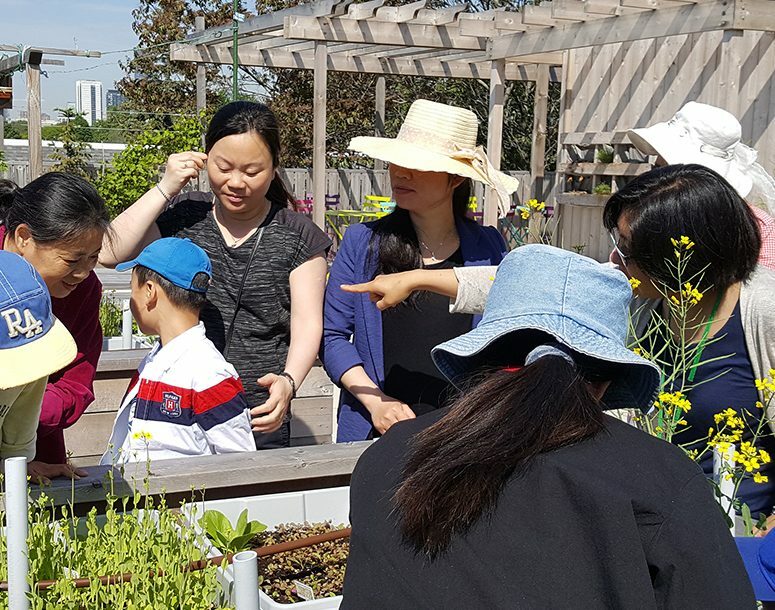 We host a beautiful volunteer run rooftop garden at on the deck of our 4th floor at 955 Queen Street Health.